Houston Dynamo’s 2017 US Open Cup campaign has come to an end as they fell to a 2-0 loss to Sporting Kansas City in the Round of 16 at BBVA Compass Stadium. Kansas City opened the scoring just after the hour through a corner kick that Houston Dynamo failed to deal with adequately. Kevin Ellis headed the corner back across the face for Ike Opara, who was able to send the ball past the keeper for a vital goal. With the US Open Cup being a knock out tournament Houston Dynamo was forced to push for an equalizer. That allowed a counter attack in stoppage time to give Kansas City the second goal Latif Blessing and Gerso Fernandes were able to break away allowing Blessing to set up Fernandes for a finish. The first half was a tight 45 minutes as the two sides were cagey, given it was a knock out match that tense play was unsurprising. The best chance came in the 12th minute with a corner kick falling to Jimmy Medranda at the edge of the box but his effort went over the bar. Just after the quarter hour Houston started to get some good chances and had a string of good opportunities. Alex managed to have two chances in less than a minute, both chances coming from outside the box, left footed strikes whistling over the bar. Just after the Kansas City opener Houston Dynamo had a penalty shout turned down by the referee. Memo Rodriguez went down in the box after an apparent trip from Saad Abdul-Salaam but the referee disagreed and showed Rodriguez a yellow card for simulation. The defending champions, FC Dallas, has advanced to the US Open Cup Quarterfinals after they managed a 3-1 win over Colorado Rapids on Tuesday night at Toyota Stadium. Right before the break FC Dallas was able to open the scoring as some short passing saw Mauro Diaz brought down in the box by Bismark Boateng. That allowed Diaz to then dust himself off, step up and hit the penalty past Zac MacMath for the opener, giving Dallas a half-time lead. The team that eliminated San Antonio FC has been eliminated themselves from the US Open Cup as FC Dallas managed a 2-1 win over Tulsa Roughnecks at Westcott Field at Southern Methodist University. 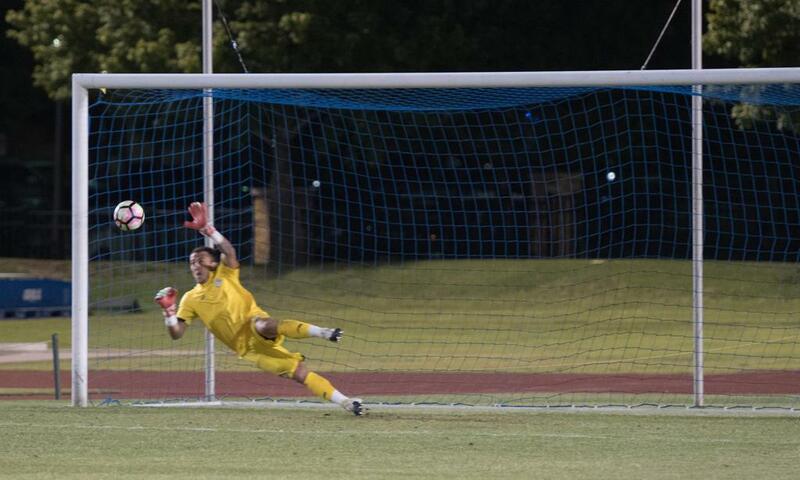 It was a heartbreaking loss for Tulsa as they were eliminated thanks to an own goal in second half stoppage time. Modou Jadama put the ball in the back of the net after attempting to block Michael Barrios’ cross. San Antonio FC has had their cup run ended in heart breaking fashion as they fell to Tulsa Roughnecks 7-6 on Wednesday night in Tulsa following a scoreless draw through 120 minutes. “We felt we had chances in both halves that we could have taken advantage of. 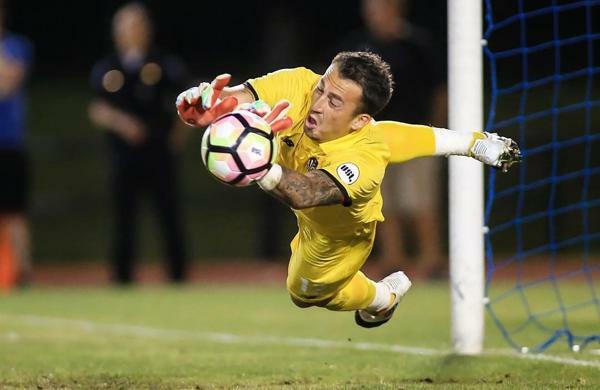 We defended solidly again and it went down to the wire, and it ended in eight rounds of penalties.” Said San Antonio FC head coach Darren Powell after the frustrating loss. The US Open Cup fourth round draw was made on Thursday and there could be a big match for San Antonio FC fans as they were drawn against FC Dallas should they win in the third round. San Antonio FC was always bound to face either FC Dallas or Houston Dynamo in the fourth round and thankfully they have been given some variety after playing Houston last year. Of course both teams are undefeated, with few undefeated professional teams left in America one of those streaks will end. San Antonio FC has avoided a major upset as they advanced in the US Open Cup claiming a 2-1 win over Houston Dutch Lions in Conroe on Wednesday night. The opener came in the 17th minute as San Antonio FC took full advantage of a set piece opportunity to make the Dutch Lions pay. Victor Araujo stepped up and hit the shot from just outside the box beating the keeper to make it 1-0. Four minutes before half-time San Antonio FC was able to double their lead thanks to a mistake at the back from Houston Dutch Lions. Aly Al Hassan was there to capitalize on the mistake, getting in behind and burying the chance to put San Antonio FC well on top. 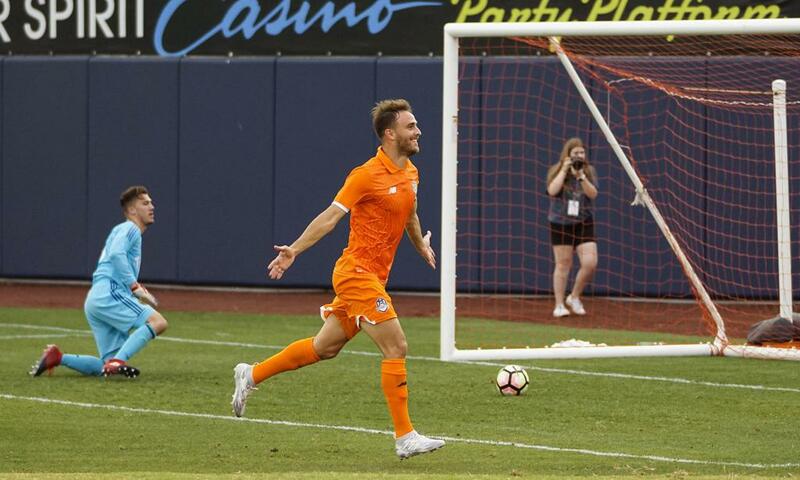 The Dutch Lions made things interesting just after the hour mark as they were able to find a goal, pushing San Antonio to tighten up. That forced San Antonio to bring on more of their first team players in an effort to keep their lead. The scoreline flatters Houston Dutch Lions somewhat as San Antonio FC was the dominant side throughout the match and played with a mixed squad. They easily accounted for the Dutch Lions who really only had two chances in the match. Set pieces provided two more opportunities for San Antonio FC in the first half, the first coming off a Hassan header. The second was a free-kick but the wall did its job deflecting the ball out of play and eventually clearing the ball. The second half saw Houston Dutch Lions come more in to the match but Lee Johnston showed that he can handle goalkeeping at this level. He made two strong saves in the half, one which kept San Antonio FC in front, vital in the win. Details of a friendly between two elite amateur clubs are hard to come by, but by all reports the Dutch Lions won the match 1-0 after an early 9th minute goal. Statistical Note: San Antonio FC has never lost to a lower division opponent in the US Open Cup, defeating Corinthians FC SA and Des Moines Menace last year. Key to the Match: Squad rotation, San Antonio FC are dealing with injuries and as such they will have to balance the work load, the issue with that is they also need to not take the Dutch Lions lightly, remembering their near loss to Des Moines last year. Darren Powell will have some tough decisions to make on Wednesday. FC Dallas has advanced to the US Open Cup Final for the second time in club history after a 2-1 win over LA Galaxy at Stub Hub Center on Wednesday night. FC Dallas won in extra time, completing a dramatic comeback as the hunt for the club’s second ever trophy continues. This match was the ninth time that Dallas had played in a US Open Cup semi-final, but their previous performances did not inspire much hope. Despite the past history FC Dallas started confidently, having the best of the early chances. The best chance in the early stages came in the 14th minute when FC Dallas midfielder Mauro Diaz forced a foul on the edge of the area. Diaz dusted himself off and stepped up to take the free-kick but he could only find the wall, letting LA Galaxy clear the ball. In the 17th minute LA Galaxy went close to opening the scoring themselves as midfielder Raul Mendiola went through the middle. Mendiola played the ball through to forward Alan Gordon who shot but was denied by a great save from FC Dallas goalkeeper Chris Seitz. That seemed to kick things off for LA Galaxy who started to really go on the attack and they had another chance in the 22nd minute. Galaxy forward Emmnuel Boateng sent in a cross, which split the Dallas defense and fell to LA midfielder Mike Magee whose shot was well saved by Seitz. Dallas hit back on the half hour and forced two strong saves out of LA Galaxy goalkeeper Brian Rowe. Diaz sent in a cross for Dallas midfielder Michael Barrios who shot low but was denied by Rowe’s save. Off the clearance Dallas gained possession allowing Dallas striker Max Urruti cutting behind the defense and shot low again but again Rowe saved. There was one last chance to LA Galaxy before half-time when Boateng was able to beat his defender and send in a cross. Boateng’s cross found Gordon who hit it powerfully, sending it just over the bar. The second half was dull, with neither side really wanting to risk losing the match but with 20 minutes to play things came alive again. Dallas had three shots quickly, first Diaz’s free-kick which was punched but only as far as Urruti, whose shot was saved, the rebound falling to Dallas midfielder Tesho Akindele who was denied by a strong defensive block. A counter attack nearly gave LA Galaxy the win late on when Boateng was played through by a nice long ball. Dallas recovered, forcing Acosta to shoot from distance, which allowed Seitz to make a diving save and send the match to extra time. 10 minutes in to extra time it looked like LA Galaxy would have the match won after Chris Seitz fouled LA Galaxy midfielder Giovanni dos Santos. That allowed Mike Magee to step up and take the penalty, sending Seitz the wrong way, and LA, seemingly, to the cup final. But in the second half of extra-time FC Dallas fought back thanks to some great set-pieces from Diaz. FC Dallas was back on level terms with four minutes to play as Diaz sent in a corner for Dallas defender Matt Hedges who headed the ball home to level scores. With the match seemingly heading to penalties, and in stoppage time in extra-time Dallas stole the win and the ticket to the final. Diaz sent in a corner for his midfielder Victor Ulloa, who scored with a header from the other side of the box and sent Dallas to the final. As New England Revolution won the other match, FC Dallas will host the US Open Cup Final at Frisco at some point in September, the first US Open Cup final hosted in Texas. FC Dallas clinched a place in the US Open Cup Semi-Finals on Wednesday night thanks to a stoppage time winner at BBVA Compass Stadium. Fabian Castillo scored the winner for FC Dallas as they defeated fierce rivals Houston Dynamo 1-0 in the US Open Cup Quarter-Finals. It was the third time in four years that FC Dallas have eliminated Houston Dynamo from the cup, this time on solid work from Castillo to win the match. It came after a Kellyn Acosta long ball, which was partially cleared by Jalil Anibaba but only as far as Castillo, who got to the top of the box and hit a low shot, just part Joe Willis. Being a cup match that would mean a loss eliminated the side, and so that kept things tight in the early going. The match didn’t really have its first chance until the half hour when Mauro Diaz released Michael Barrios on a counter-attack, he tried to find Maxi Urruti but it was put out for a corner which Houston cleared. FC Dallas kept on attacking and the next one was Diaz releasing Urruti up the left, allowing him to control the ball. That saw him get space, heading it forward for his own run, but Joe Willis saved the shot well, keeping it scoreless at half-time. Dynamo had the first chance of the second half with Dynamo cup specialist, Mauro Manotas being the man with the chance. Abdoulie Mansally crossed in for Manotas right on the line but Chris Seitz got down well and made a great point-blank save. Urruti continued to be a target and in the 55th minute he was played in by Castillo, putting him in behind the defense. Urruti managed a first touch attempt to chip the keeper and it beat Willis but sailed just over the bar. Dynamo responded well and had a great chance just before the hour mark when Agus was able to send the ball for Cristian Maidana. That allowed Maidana to play Manotas through and Manotas’ shot was hit powerfully and beat the keeper but could only find the crossbar, keeping it scoreless. As the match got later and later the two teams started to shut up shop, and there was one final chance for the Dynamo. Giles Barnes was brought down outside the box, allowing a free kick which Maidana played short for Barnes to shoot but his effort was charged down. That was the final chance until Castillo’s stoppage time winner, sending FC Dallas to the semi-final, where they will play LA Galaxy in Los Angeles.